Severn Bore November 2012 tides. A 3* 9.7m bore and conditions were cloudy, mild (7C) and very calm. A great boat shoot for reflections although ambient light (sun) would have made it perfect. 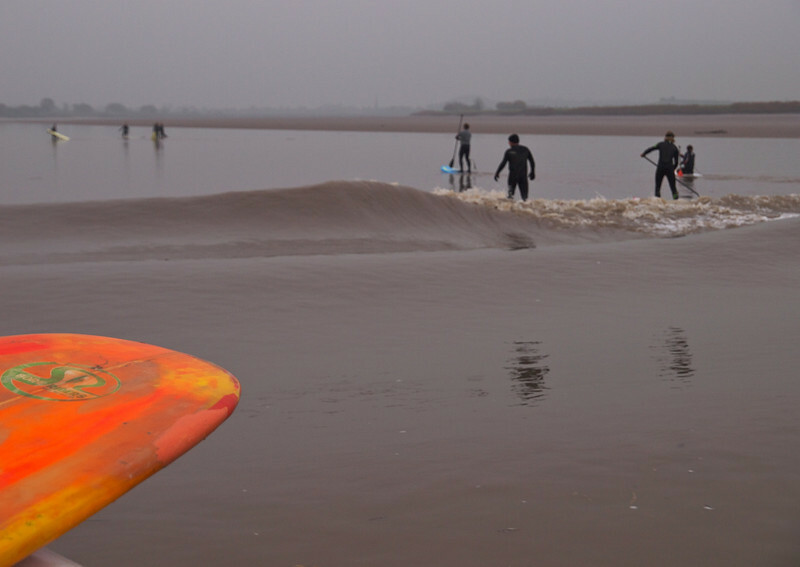 Once again I shadowed the master of the Severn Bore and world record holder Steve King. A big thanks to Steve for the ride and Duncan for usual exemplary boat handling (nobody knows the river like him). Not a massive bore overall but some good wave action along the 10 mile journey. Photos captured with a combination of the Olympus E5 + 50-200mm & E3 + 12-60mm. A challenging shoot when both camera systems are hung around your neck and the boat tosses you around like washing in a machine. Camera and owner got drenched and my lenses now have a few more dents & scratches. Behind the bore leading wave and still reflections.